Our CrossFit program delivers a fitness that is, by design, broad, general, and inclusive. Our specialty is not specializing. Combat, survival, many sports, and life reward this kind of fitness and, on average, punish the specialist. CrossFit is the principal strength and conditioning program for many police academies and tactical operations teams, military special operations units, champion martial artists, and hundreds of other elite and professional athletes worldwide. The CrossFit program is designed for universal scalability making it the perfect application for any committed individual regardless of experience. All CrossFit programs are based on functional movements i.e. weightlifting, gymnastics, swimming, rowing, and more. 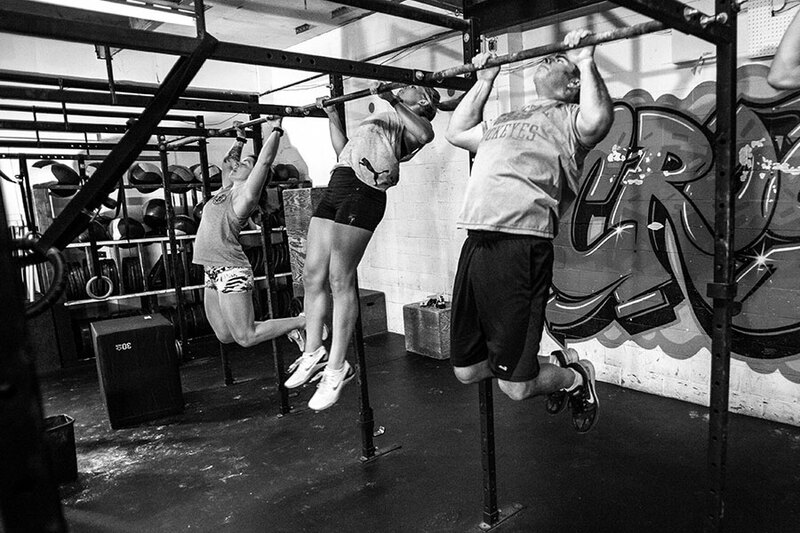 CrossFit is more than a sport; CrossFit encompasses the core movements of life. We scale load and intensity; we don’t change programs. Come in and see what all the fuss is about. Sign up now for your free one-week trial. It’s time to see what all the fuss is about.